One of the first Russian writers to make a name for herself on the Internet, Linor Goralik writes conversational short works that conjure the absurd in all its forms, reflecting post-Soviet life and daily universals. Her mastery of the minimal, including a wide range of experiments in different forms of micro-prose, is on full display in this collection of poems, stories, comics, a play, and an interview, here translated for the first time. In Found Life, speech, condensed to the extreme, captures a vivid picture of fleeting interactions in a quickly moving world. Goralik's works evoke an unconventional palette of moods and atmospheresslight doubt, subtle sadness, vague uneasethrough accumulation of unexpected details and command over colloquial language. While calling up a range of voices, her works are marked by a distinct voice, simultaneously slightly naïve and deeply ironic. She is a keen observer of the female condition, recounting gendered tribulations with awareness and amusement. From spiritual rabbits and biblical zoos to poems about loss and comics about poetry, Goralik's colorful language and pervasive dark comedy capture the heights of ridiculousness and the depths of grief. 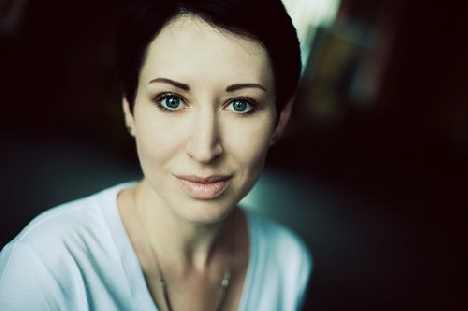 Linor Goralik is an award-winning contemporary Russian writer of flash fiction, poetry, essays, fairy tales, theater, and more. Her boundary-pushing works include fourteen books and dozens of other print and electronic publications.